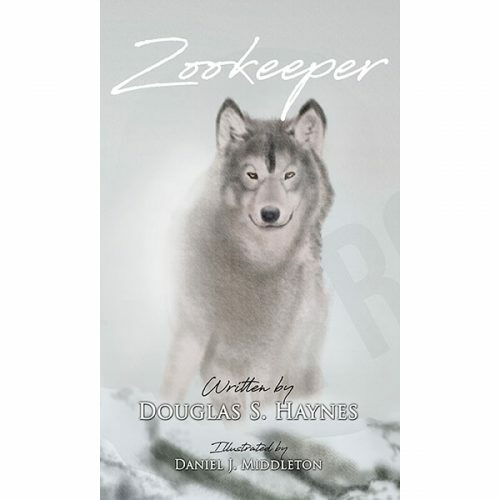 Zookeeper is a timeless free verse poem that encourages us to view our lives like the zoo with the patterns found in nature and valuable life lessons are made inspiring. Illustrated by Daniel J. Middleton to bring smiles to faces. Author Douglas S. Haynes is a practicing attorney in Louisville, Kentucky, who began writing poetry in 2011. He publishes regularly in Louisville Bar Briefs. Zookeeper was the product of his desire to impart advice at the onset of his daughter’s freshman college year. She hung the poem in her dorm room. Douglas S. Haynes is a practicing attorney who began writing poetry in 2011. Zookeeper was the product of his need to impart advice at the onset of his daughter's freshman college year. She hung the poem in her dorm room. Haynes went on to study poetry with Frederick Smock. 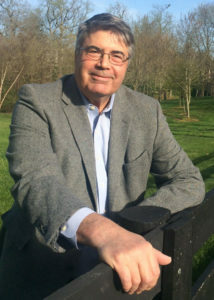 Louisville Bar Briefs regularly publishes his law poems, which explore the practice of law from the attorney's vantage point. A native of Louisville, Kentucky, Haynes received his undergraduate degree at Davidson College. He earned a Masters of Social Work from Columbia University and then studied law at the University of Washington in Seattle. He spent one year as a cab driver in Manhattan, and he hiked the Appalachian Trail in its entirety. He now resides in Louisville where he practices Family Law and Mediation. This is dedicated to my daughter Carson, whose journey to college years ago unleashed in this poet an urgency to offer advice. She hung this poem on her dorm wall freshman year. Daniel J. Middleton, author illustrator began his career in book publishing in 2001 by proofreading and copy editing galley proofs for a small Brooklyn-based press. Since that time, he has developed a love of graphic design and illustration. He has had the good fortune of working with a number of successful self-published authors and small presses with unique offerings. He is the author and illustrator of the Naomi "Redflower" children's book series, which is set in his Central New York hometown.